When we started out we vowed that when we had two doelings we would only keep one...Then came Thelma & Louise and we couldn't decide who to keep ! We are glad we kept both girls! 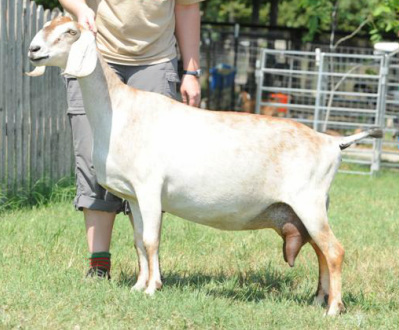 Thelma freshened with a wonderful udder and was 1st place ahead of Louise @ the 2010 State Fair of Texas. She easily achieved her star in her first lactation. In 2011 & 2012 she showed very well and now is a permanent Championship and our very first SGCH ..the first of our Lightning girls to do so!!! 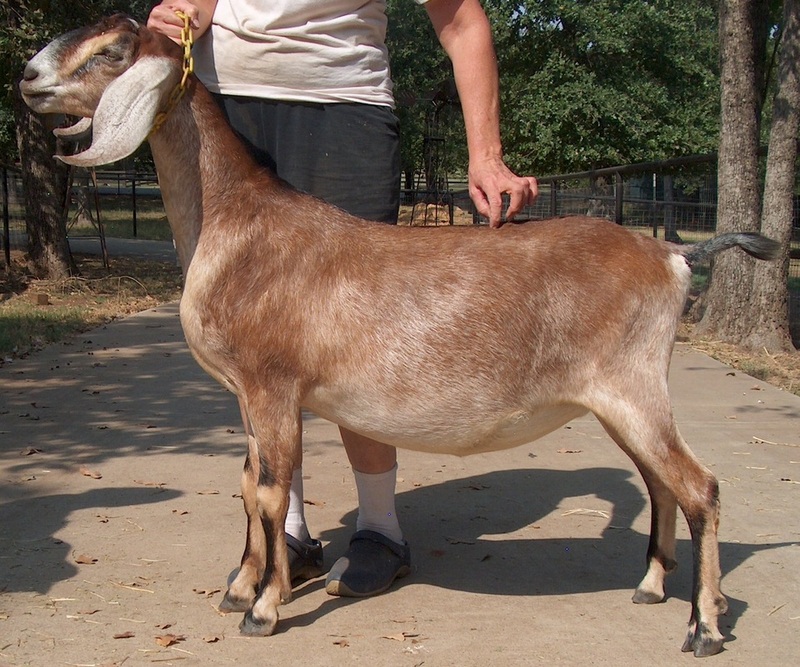 We are extra proud because she carries out herd name. 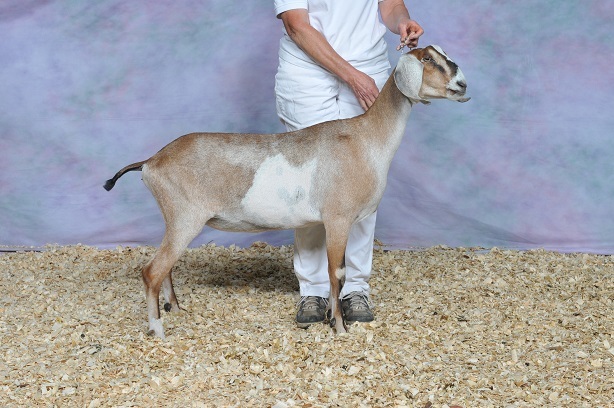 Her half sister/Oprah (another Rosemary daughter) also finished her permanent championship to be our SECOND SGCH doe, and our second Rosemary daughter to do so. 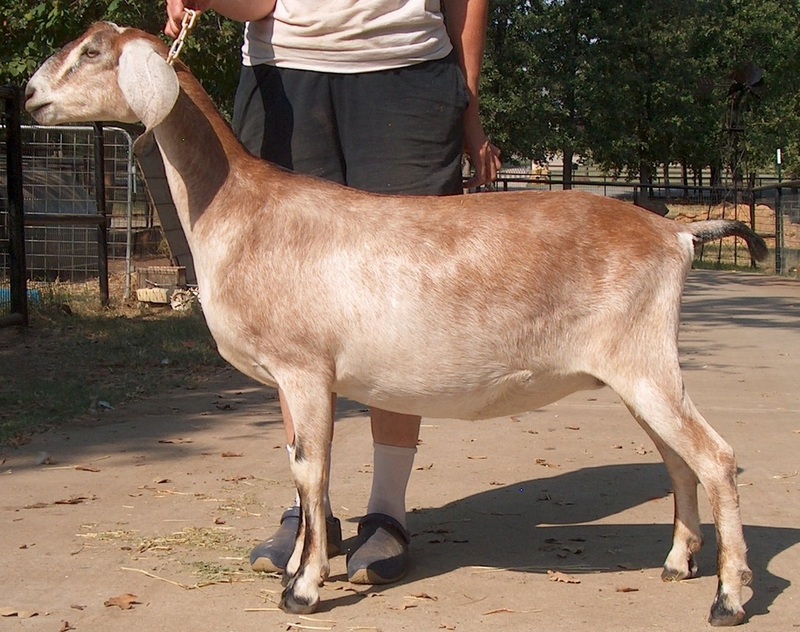 ​ Thelma is retired after a shoulder injury...and will get to hang out in retirement here.